Running in at the last minute with my entry for this month's Rudolph Days challenge over at ScrappyMo's. February being such a short month always catches me out in so many ways - not least some serious slippage on my planned target of making 12 Christmas cards per month! I think the stamped image itself does most of the work really, so refrained from adding a sentiment or anything else - plus the background to the stamp has lots of Christmassy greetings in small print as it is. Still a bit behind with Christmas card target though but some serious 'batch baking' in March should help! Quite a few times I've noticed some lovely cards and makes where the blogger has said they'll be linking into the Snippets Playground. And then they don't do it! I know it can be hard if you do a scheduled post to remember to go back and make sure you actually link up to the challenges you list. But, it seems such a shame to me - even if you aren't playing for a prize - being linked means that folk will visit you and comment. I certainly will! Hello again! It's halfway through the fortnightly challenge in the Snippets Playground and time for some 'picks' and the prize draw. What a beautiful card this is - it just shows how you can achieve maximum impact with a few snippets. AND a lot of talent I should add! Loll let me have the following details about how she made the card, but I do think it would be lovely if you could hop over to her blog and leave a comment there. "Everything used on my card is a snippet except for the card base. :) The hexagons on my card are die-cut from a snippet of smooshed watercolour paper. This is the third card I've made from two background pieces I made a few months ago. I die-cut the hexagons from white foam as well, gluing them to the watercolour hexagons to add dimension to my card. The foam was cut from snippets too!! :) And I always have small snippets of black and white ready and waiting to use for die-cuts and sentiments." As most of you will know, Loll makes amazing cards and has a really unique way of creating stylish and elegant makes which are 'clean and simple' but generally with a fabulous technique incorporated/to share as well. She also runs a couple of brilliant challenges along with our lovely Bonnie - so do check those out as well when you pay a visit. I wanted to learn more about Loll's blogging journey for myself and can't recommend enough that you make a hot drink and settle down for a couple of hours browsing. 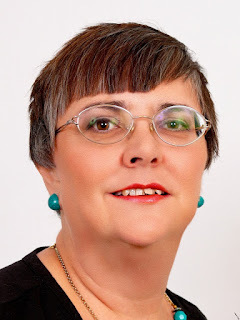 It all begins in February 2011 when Loll first started her blog - and way back then you can see the CAS style evolving as that year unfolds, fascinating to see. Loll is another blogger who cooks, and there's some yummy recipes on her top bar. And, loads of tutorials - both written and also video ones. Better make that a flask of something to keep you going eh? :) Loll readily shares her tips and techniques in her normal blog posts as well and I've learned loads from this very generous lady. 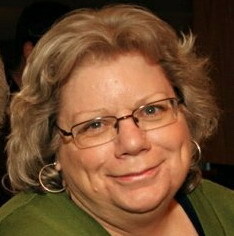 And, she's an amazing blog designer as well - I'm so grateful for my own fabulous blog makeover! Oh, and I always wondered where the name Loll came from - now I know, it stems from her given name of Laura, a lovely name for a lovely friend! Remember girls, you can always let me know if you would like to be a Guest Designer - I have a list and would be very happy to add your name. This was made by my dear friend Sarn, who freely admits she got the basic idea from Pinterest - but she certainly has put the 'Sarn Spin' on it! Such a clever new home card and one which we can all 'have a go' at making (with or without the fence if you don't have a punch or die to suit - but I do think it's a brilliant finishing touch!). 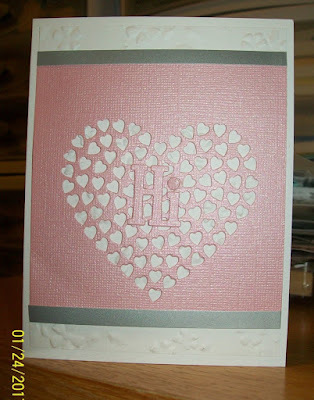 This adorable card was made by Jane W, our Guest Designer from last week! And Jane used a prize she won in the Snippets Playground a little while ago - they are actually robins but I just love this ingenious way of transforming them! 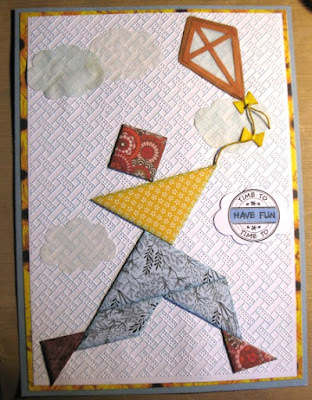 Paper piecing is one of the very best ways to use up little snippets and Jane's card shows what impact can be achieved with just a few different of them, very cleverly used! There was some discussion on Heidi's post about the problem of leftover snippets falling out of pads if you choose to store them that way. Here's a post about my own solution which might be of use. Warning, it's a long post but even flicking through the photos will give you the gist of how I store my patterned snippets inside paper pads. The system has been in use here for three years now and it still works brilliantly for me. That's my three picks - as always a very hard choice, and I ended up using a pin to stick into my initial list of 10 entries! 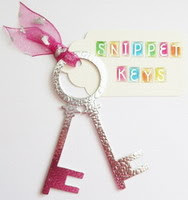 Once again I focused very much on ingenious ways to use snippets which might inspire you. Barbara (The Knackered Grouse - LOVE that blog name!! Well done Jenny! Can you please drop me an email with your address in and I'll post your prize off as soon as possible! My email address is on the right hand side bar. Our local Post Office is currently closed due to the village shop it's part of being extended and refurbished. I think it's only closed for a further week but it may cause a delay in me posting your prize Jen, goodness knows how folk who really rely on that Post Office are coping as there was no upfront warning! Keep those snippets entries coming girls, you still have a week left to play HERE remember! AND, please remember that it's also Rudolph Days over at Scrappy Mo's! February is a short month and the challenge (anything goes for Christmas) closes on Tuesday of course. There's the choice of a great Memory Box die or a really cute Avery Elle stamp set as a prize too. I know you'll all want to join me in sending our love to Mo, her Mum passed away very recently and a few extra hugs would be very welcome I'm sure. See you on the swings! There were a few hiccups along the way, which I'll confess to as we go. A long way to go - but it was great fun playing - despite battling a ripped nail which is all bound up making my right paw less dextrous than ever! Embossing the outlines is going to make life much easier and I hope the Strathmore Mixed Media paper which has a vellum surface will help too. It certainly feels lovely and smooth! We have a lovely theme for this fortnight's Cuttlebug Mania challenge, which starts today - 'It's a Zoo out there' and you can use any animal(s) on your entry. 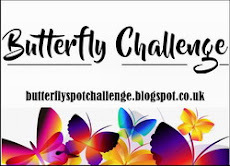 Details of our sponsor/the prize to be won can be found over on the Cuttlebug Mania Challenge blog, but suffice it to say that Beccy's Place is involved - one of my favourite places to shop for digital images. - topped the centre of each daisy with a white Josy Rose nail head - finished! Oh boy, this really was a struggle to make in the middle of my loss of mojo the other week. Every single step was like wading through treacle! And it's another fresh fortnight in the Snippets Playground! Thank you so much to everyone who came to play - loads of brilliant entries too! 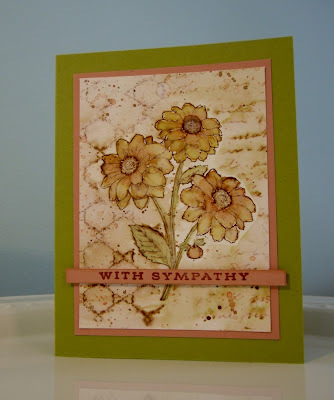 MFT 'Wildflowers' two- piece die set and a Darice 'Picket Fence' embossing folder. These were both kindly donated by the lovely Darnell - absolutely AGES ago! The die is similar to but not absolutely the same as the one I used today. It's lovely in that the flower heads die cut separately ready to just pop onto the complete flowers, and the embossing folder is the same of course. Plus, I've added a further Darice embossing folder to the bundle called 'Clouds' (you can see the design on the top right hand side of the packaging). I thought the clouds folder could be used as an alternative to the picket fence folder - or maybe in conjunction with it. I haven't worked out how the two folders could be combined - I'll leave it to the winner to have a play :) For that reason I don't want to split the prize up. 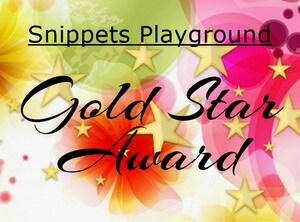 The Snippets Challenge will run for two weeks from now on and the Playground gates will close at 11am UK time on Saturday 4th March. The gates will open again at midnight UK time on the same day. It's still a maximum of ONE entry and please say in a comment if you wish to play and be a possible winner of the prize. The prize is all three items as a single 'bundle' as I already said. Please also link back to the Playground in your blog post to be eligible for the draw. Be sure to call back next week to see the winner of last fortnight's prize (the papers, flowers, bows, buttons and LOTV 'baby' stamp) and my picks from the past two weeks as well! And we also have another Guest Designer as well! The standard is so high I might have to do the final whittle down of my short list of picks by drawing straws - amazing stuff girls. Look forward to seeing what you come up with this fortnight, I think this place is a real hotbed of crafting talent! Psst, I made this card on Friday afternoon - I think my mojo put in another brief appearance, yay! Three Christmas cards - two whole days work! I'm in serious trouble here, it took me two days (albeit not constant I admit - we do have to eat plus I broke out for a hair appointment and also did some housework plus a baking session) to make three identical Christmas cards. But, overall - the going is very slow and half hearted I fear. There was a lot of stamping and die cutting admittedly, but it's clear that am suffering from a real lack of enthusiasm. I still need to make my snippets card for Sunday in fact! Ooopsie! And that's was it. The Misti was absolutely marvellous BTW, I'd have given up totally without it! And that was it - done. Only took me about three hours, and I'm not kidding! Hello! It's halfway through the fortnightly challenge in the Snippets Playground so time for some 'picks' and the prize draw. Such a fun card! Jane let me have the following details about how she made the card, but I do think it would be lovely if you could hop over to her blog and leave a comment there. As most of you will know, Jane is a very prolific card maker, with a huge repertoire of techniques and styles to draw on, as well as a wicked sense of humour - which very often shows up on her cards :) She's been a loyal Playmate for ages and also was the very first person to put her hand up for a GD spot - so it was a natural choice. I wonder if you also know that Jane's a very good cook? 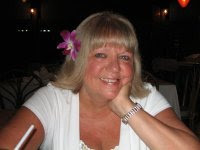 She can whistle up some great dishes just from a quick rummage in the fridge and it's really worth checking her recipes out on her blog as well. I chose this card, made by Alice, as it introduced me to a wonderful technique/art form known as 'Tangrams'. It's a great way to use up snippets and you can be very creative in the process as well - just Google 'Tangrams' to find out more. That's got you thinking I bet! I love this 'New Home' card made by Helen. Plenty of snippets used and the single blue house packs such impact! A great idea, which I'll be pinching! I think this card, made by Laurie, is a brilliant example of using up snippets really effectively. It has so much style and really stood out when I was looking for picks! In the interests of speed you may have noticed that whereas I do adds a few words still about the fortnightly picks (mainly to say why I picked them) - I no longer add a few words underneath our 'new Playmate' entries, I hope you do go and say hello to them though! 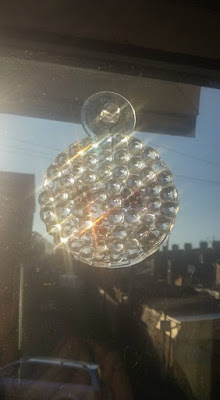 And, I do so urge you to nip over and check out Sarah's account of making this sun catcher - some of you have already been and had a good giggle I see :) It will brighten your day I promise and perhaps we should appoint Sarah as our resident story teller/class comedienne! Well done Pen! Can you please drop me an email with your address in and I'll post your prize off as soon as possible! My email address is on the right hand side bar. That was a really popular prize and, as so often happens, I just wish everyone could have been a winner - sigh. Keep those snippets entries coming, you still have a week left to play HERE remember! I bought the little snowdrop stamps and stencils set a while ago, whilst in Coventry with Mrs A. To be honest, once home, I wasn't sure I liked them. Mostly the fact you really should use coloured embossing pastes when stencilling put me off using them - but the tickles of clear Wink of Stella through the stencil really worked a treat! 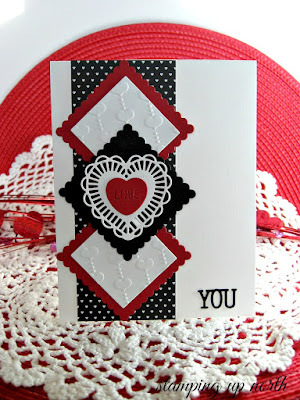 Time for another Cuttlebug Mania Challenge and the theme this time is 'Roses are Red'. Your theme can actually be anything, just so long as there's lots of red as the main focus. Details of our sponsor/the prize to be won can be found over on the Cuttlebug Mania Challenge blog. I cheated somewhat with my DT card as it was already made for a challenge (two in fact) that I couldn't enter. I know there's a lot of white on the card but the main and only colour focus (the heart) is red. This was a bit of a tricky card to make so you can imagine my horror when I realised that it didn't qualify for the two challenges I wanted to use it in :( First was Darnell's NBUS Challenge #9 where I'd even complied with the options of CASE'ing a card as well as using the camouflage technique for the word LOVE. Ha, what I had totally forgotten was to use something NBUS - the basis of all Darnell's challenges!! Then, I realised it wasn't fair to enter the card into the current Penny Black Challenge of 'Anything Goes' as the card is such a direct CASE from cards made by both Darnell and Chrissie! So, I put the card to one side in the hope that it would be useful for a future post or perhaps Cuttlebug Mania DT work. Yay, happy dance when the theme for this fortnight was chosen! And here we go again with a fresh fortnight in the Snippets Playground! Thank you so much to everyone who came to play and also for making life so much easier here. As I said, not my finest snippets creation by any stretch of the imagination. But, in real life at least the colours I used for the image are much softer and all match the stripy paper and the ochre frames! A LOTV 'All our Dreams' rubber stamp from me, same as the one I used. Plus lots of lovely pastel/baby coloured goodies by Papermania from the Spots and Stripes Pastel range - kindly donated by Donna. There's a paper pack, box of flowers, packet of bows and a packet of buttons - all beautifully co-ordinating. If you sent a prize for the Playground and it hasn't yet appeared, I'm trying to work my way through them and they are still here safe and sound in the toy box! The lovely Darnell sent a prize over a year ago so I think that one's top of my list for two weeks time! The Snippets Challenge will run for two weeks from now on and the Playground gates will close at 11am UK time on Saturday 18th February. The gates will open again at midnight UK time on the same day. It's still a maximum of ONE entry and please say in a comment if you wish to play and be a possible winner of the prize. I won't be splitting the prize this time. Please also link back to the Playground in your blog post to be eligible for the draw. We have a nice little list of Playmates who are happy to be Guest Designers - our first one will make her appearance next week. I thought it would be good to have a GD on the interim week to give you more inspiration then I can with my snippets make. Be sure to call back next week to see the winner of last fortnight's prize (the VW Campervan die set and the set of sentiments stamps) and my picks from the past two weeks as well! AND, the wonderful Loll has kindly made up a Gold Star Award badge and it's on my right hand sidebar. So if you were a Gold Star Pick last week (Heather) or are awarded a Gold Star in the future then do please take the badge for your own blog. Mojo still on walkabout and as yet no inspiration even for my Snippets card make for Sunday! But, I had spotted that the current Less is More Challenge is 'Balloons', still no mojo though, sigh. - then I stamped the sentiment using Memento 'Tuxedo Black' ink, the Misti and a sentiment from the Paper Smooches 'Sentiment Sampler' set. I deliberately chose that particular sentiment as I wanted to send a hug to someone special - plus I loved how the letter 'S' almost follows the curve of Teddy's outline. Little things please little minds as my Granny used to say! - final touch, three iridescent sequins - to just break up what I thought looked like too big an expanse of white! Don't know about you, I use sequins here and there quite lot on CAS cards and will be a bit lost when that particular 'fad' moves on. Oh, it already did? Really, so soon? Just shows - tail end Charlie as usual here! I whined on in my blog post when I first used the die set that the eyes were far too large for the little ducks. And yesterday I stumbled over the reason WHY!